When Sean Ellis joined Dropbox as the company's first marketer, he was tasked with creating a culture of growth and experimentation. This wasn't just a line item on a goals sheet; it was written into Sean's contract. Where Dropbox went from there is well documented. Meanwhile, Sean has used that same approach to growth at LogMeIn, Eventbrite, Lookout and Qualaroo. Today he’s the founder and CEO at GrowthHackers, whose software, community and annual conference help teams work together to drive breakout growth results for “must have” products and services. I hosted Sean on our podcast for a chat covering everything from those early days growing Dropbox to why he sees a North Star Metric as a key cog in a sustainable growth strategy. If you enjoy the conversation, check out more episodes. You can subscribe on iTunes, stream on Spotify or grab the RSS feed in your player of choice. “Growth hacking” means different things to different people, but Sean defines it as singular focus on growth through rapid experimentation across the full customer journey. Because there are so many ways a user might come to Dropbox – a shared file, collaborative folder, homepage, etc. – a lot of Sean’s early focus and success there came from experimentation with onboarding. While a freemium model fueled growth at Dropbox, it’s not for everyone – a lesson Sean learned the hard way at Qualaroo. The North Star Metric is Sean’s way of quantifying the point where customers experience the value of your product. At Airbnb, it’s nights booked; at Facebook, it’s daily active users. Most people don’t want to deal with the organizational challenges of running growth experiments, so they gravitate toward the top of the funnel, where it’s easier. If you don’t go deeper into the funnel, you’re going to have a hard time being successful. 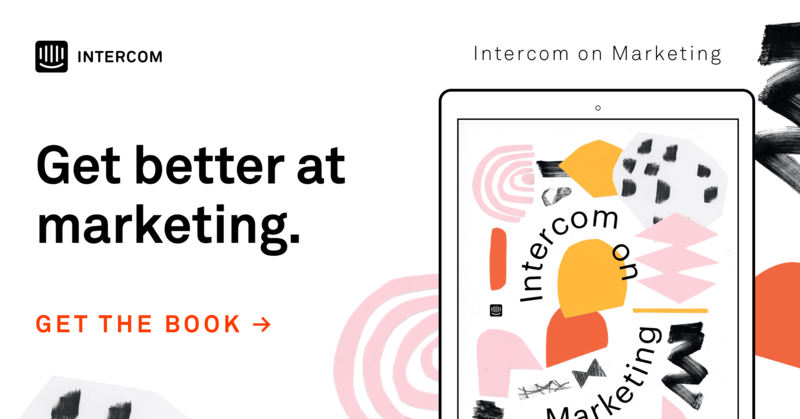 Adam Risman: Sean, welcome to Inside Intercom. What were the notable twists and turns in your career that led you to starting GrowthHackers, and what’s your mission there? Sean: I stumbled into online marketing in 1996 because I had invested in a friend’s online gaming company. I joined him in a sales role initially when there wasn’t anybody really using the product, which meant I was trying to sell advertising against a non-existent user base. I temporarily stepped in to fill the marketing role and fast forward, we actually became the number one online gaming site and did some cool stuff. We probably pushed the envelope further than any company at the time with analytics. We pioneered an embeddable widget, and everything was very test-driven at a time when others just weren’t doing anything similar. Now that’s table stakes, but it has served me well throughout my career and ultimately took me to GrowthHackers, which has been a passion project. We are VC-backed, which doesn’t always jive with a passion project, but it’s about trying to help people more effectively grow their businesses. There’s a lot of misinformation out there (about growth hacking), and we’re trying to show people how to approach it correctly. Adam: “Growth hacking” is a term you coined in 2010, but since then a lot of alternative definitions have sprung up. What does the phrase represent for you today? Sean: I came up with the phrase because I thought startups had no choice but to be super focused on growth. It wasn’t long after I had left Dropbox, where I received a ton of resumes from people who were bringing a traditional marketing approach, and I knew from my own experience that you have to be very growth-focused in the early days of a business. It’s all about acquiring, converting, retaining and ultimately getting as many people to experience a product as possible. You can’t really invest a lot in awareness building and some of the branding stuff that marketers do that is a little harder to connect into value. I define “growth hacking” now as singular focus on growth through rapid experimentation – but instead of just doing it around marketing, it should be across the full customer journey, particularly in product where you have more effective, sustainable growth levers like onboarding. It’s analysis-driven grit. It still takes an X-factor, and that’s probably my biggest frustration with growth hackers. It’s easy to think you can train a lot of people around growth, but there’s this X-factor of: “I’m going to figure out the issues that are holding back growth and attack them.” There are a lot of people who just aren’t willing to do the hard work it takes to effectively grow something. It’s not just grit and hard work, because that by itself, directed in the wrong areas, probably isn’t going to make much impact. It’s analyzing to truly understand the situation, and then you have to work hard to drive growth in the parts of the business where it matters. Adam: When it comes to that high-level discussion about the definition, do you think a lot of people get stuck on the “hacks” part of it? Sean: Yes. I really think people misinterpret it all over the board. Some people say, “You’re just talking about marketing the way marketing is supposed to be done”, which is actually a good argument. Hopefully I’ve done a pretty good job of breaking down that description. I know you interviewed Andrew Chen, and he embraced the term early on. I don’t think anybody would have even noticed the term if he didn’t pick it up, but he put a definition on it that was a little different than what I was pushing: he emphasized the engineering angle of growth hacking. I think that’s an important part of it, but I don’t think it’s a requirement. I don’t think you need to be an engineer to be able to be an effective growth hacker. But he got the term on the map, and he probably deserves as much credit and ability to define it. However, my definition is aimed at trying to understand everything that you can do to effectively drive growth in a business and having a disciplined approach to do those things in an experimental way – using data to double down on things that actually work. Adam: You and Andrew crossed paths long ago at Dropbox, where you were Drew Houston’s first marketing hire. Put us in the conference room in those days. Where did you find your early success there? Sean: Drew and I had good alignment around the end goal. It wasn’t just growth, but – with fewer than 10 people, all engineers – focusing on creating a culture of growth and experimentation. That was actually in my contract. I saw Dropbox as something special, even though it was just coming out of beta. They had done a good job of building up their usage during the private beta, so I just had to understand what was going on from both a data perspective and a qualitative, survey-driven perspective so I didn’t break it. I didn’t want to just jump in there and then end up shutting down something that was working. Within a couple of weeks we had a pretty good handle on what was driving growth, so we worked to amplify those things. Adam: It’s interesting that you mentioned the culture of growth and experimentation actually being in your paperwork when you came on board. To drive that, I’m sure you needed to highlight some early wins. What were a couple of those first aha moments? Sean: A lot of the early experimentation we were doing was around onboarding. What’s interesting about Dropbox is that there are so many paths into that product to the point that the homepage is a minor path. A lot of people discover Dropbox through word of mouth, when they’re invited to a collaborative folder or share a file. For each path, we had to understand the user’s intent and run experiments to reduce friction, increase desire and bring them to the experience that delivered on their intent. Fortunately, we had a high success rate early on. The individual parts of business had not yet been optimized, so the chances of running a winning test were pretty high, especially if it was based on research and figuring out why people were giving up at a particular spot. I had to work pretty closely with Drew Houston, and it wasn’t long before a lot of the tests were being conceptualized and implemented by the engineers. We started moving toward that big culture of growth and experimentation pretty quickly. Adam: A major growth lever for both Dropbox and LogMeIn, another stop of yours, was freemium. At Qualaroo, on the other hand, freemium didn’t work out the way you hoped. What should our listeners consider before they try a freemium model for growth? Sean: When I talk about big failed experiments and potential mistakes, the Qualaroo freemium attempt would be among my biggest. I actually convinced my investors to let me buy the business that became Qualaroo, which was just a little product that was inside of Kissmetrics at the time. It was based on this premise that they just didn’t understand the freemium model, and if we did it correctly, we would be able to blow this product up. A big investment later, I implemented everything the way that I thought would make it successful – and it was a total failure. The big lesson was that we realized that people were much less price-sensitive around the product once they realized they needed it. So instead of making it free, that lack of price sensitivity took us the other direction. We killed the free product and actually increased the price quite a bit on the premium product. We increased the price multiple times and grandfathered old people in. We did it the right way, and we were able to drive significant growth in overall recurring revenue just by increasing the amount of revenue we were getting per customer. Adam: Let’s say we’re at a company that’s found product/market fit and is beginning to meaningfully invest in growth. One thing you advocate for at this stage is what you call the “North Star Metric.” Can you define that for us and explain why you see that as such an important piece of the growth puzzle? Sean: First I want to highlight the importance of product/market fit, which plays directly into this. You can take otherwise very successful growth and marketing people and put them in a situation where they don’t have product/market fit – and they’re not going to be successful. In order to drive sustainable growth, you need to have a product that people get value from and keep using over time. If you’re focused on expanding the value you’re delivering, you’re going to be able to retain users. Not only that, but what I’ve found in every company that I’ve worked with is that the most important growth lever is pure, natural word of mouth. Adam: What are some tangible examples – good and bad – of North Star Metrics you’ve seen? Adam: How is this different from the “the one metric that matters” mindset? Sean: I think there’s a ton of misunderstanding around “the one metric that matters.” For a long time, I misunderstood it myself. I didn’t like it, because I would think, “There’s not just one metric that matters. There are a lot of metrics that matter.” But ultimately, it’s a really sound concept. It’s essentially asking: “What’s that one best opportunity to improve the overall success of the business right now? What’s that one metric that we should be focused on improving?” Maybe it should be called “the one metric that matters right now”. That’s a good focusing driver that creates a lot of value in a business. I don’t think the North Star Metric is necessarily the same thing. The North Star Metric is a persistent overall success metric, and if you want to drive the North Star Metric, there might be a “one metric that matters” right now, more than any other. And that’s where the two concepts come together. Here’s a quick example: when I was at LogMeIn, our North Star Metric was growing remote control sessions. We were finding that 95% of new signups never had a single remote control session. It wasn’t until engineering, product and marketing pulled together to focus on the signup-to-usage rate, which required a bunch of experimentation and took months, that we saw the business start to hockey-stick. We were able to get 1,000% improvement in the signup-to-usage rate. Suddenly, there was so much interdependency between each of the levers that moved our North Star Metric. If users had a great first experience, retention improved at ton. Revenue improved a ton. Referral improved a ton. Then on the marketing side, I was able to acquire more people as our efficiency improved – to the point that I had a pretty fast payback on any dollars I spent to acquire people. Adam: So you course-corrected from one metric to another. What preempted that process? How did you turn the ship around like that? Sean: Analysis-driven grit is the missing component for most companies. At that point, we were set up in the typical silos that companies get organized in. I was the Vice President of Marketing, and I was tasked with spending money to acquire users and eventually getting a return on investment. That model can work, but when 95% of the people I drove to sign up didn’t use the product, I had a very weak ROI on the dollars I was spending. My ability to scale profitable campaigns was capped at about $10,000 per month. That was frustrating, so I analyzed and found that we had this massive drop-off in the funnel. It was an area of the business that was outside of my scope of influence. So I brought the data to the CEO and said, “We need to fix this if we want this business to scale.” To his credit, he actually put a complete freeze on the product development roadmap, took all the engineers, all the product people, even the marketing team – and he said, “I don’t want you developing any new channels.” It became this group project to figure out how to get the signup-to-usage rate up. We documented everything and had all these flows built out and ran a ton of experiments. That’s how we drove the improvement. Adam: It really shows the impact of getting all hands on deck, steering in the same direction. Sean: It’s huge. In most companies you’ve got this big drop-off between product and marketing. Most marketers and product people are oriented toward a long-term product roadmap. Most marketers can’t go deeper than maybe a landing page. You’ve got this area that just falls through the cracks, and that’s where there’s so much room for improvement in companies. The fastest growing companies have figured out how to deal with this area. Adam: What’s your favorite growth tactic that you also feel like is a bit underused? Sean: Onboarding correctly makes everything else in the business easier, and yet I think most people underinvest in onboarding. Adam: Do you have a recent favorite onboarding experience? Sean: I used Mobike recently, and I was really impressed. I kept wondering, “When am I going to have to pay for this bike?” It wasn’t until after I went for a ride – after I’d already experienced the product – that it asked for my money. Adam: Through GrowthHackers, you’re constantly interfacing with different people in this space. Who in the growth community do you look up to or think we have the most to learn from? Sean: Ed Baker. Every time I’ve sat down and talked with him – whether it was at our conference, an on-stage interview, or just one-on-one – I learn a ton. Adam: Messengers – what do they mean as a channel for growth? Sean: It’s early right now, but as I said, onboarding is such a critical part of any product. There’s definitely a place for an AI messenger bot to help drive that. I think it’s going to take a lot of optimization to get it right, but I see it becoming a really important part of a marketer’s toolbox over the next year or two. Adam: What’s a common mistake you keep seeing growth teams make over and over? Sean: Most people don’t want to deal with the organizational challenges of running experiments, so they gravitate toward the places where it’s easy to run an experiment at the top of funnel. If you don’t go deeper into the funnel, you’re going to have a really hard time being successful. Adam: Before we go, you released a book last year called Hacking Growth. Where can our listeners find it, and where else can they keep up with you? Sean: I wrote Hacking Growth to provide a definitive guide on what you need to do to effectively drive growth in a business. We’ve broken it down into actionable steps for each part of the funnel. It’s on Amazon, Audible, and has actually been translated into 14 languages. You can find me at GrowthHackers.com and on Twitter @seanellis.